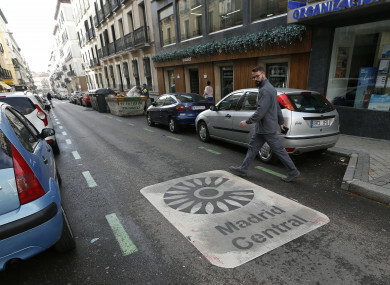 MADRID HAS LAUNCHED an ambitious traffic restriction scheme in the city centre with which it hopes to reduce gas emissions by 40%, drawing mixed reactions. Electric or hybrid vehicles belonging to non-residents are also allowed in, and the rest can only enter if they park in a car park. Email “Madrid takes drastic action to curb emissions by closing city centre to car traffic ”. Feedback on “Madrid takes drastic action to curb emissions by closing city centre to car traffic ”.